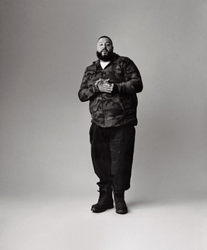 Destination XL Group, Inc. (Nasdaq: DXLG), the leading retailer of men's XL apparel, has launched its newest campaign, titled “Time to XL.” The campaign is a celebration of men’s XL style and centers around five popular celebrities who XL in style. The impressive lineup includes: Music Mogul and Social Media Super Star DJ Khaled; ten-time MLB All-Star David “Big Papi” Ortiz, who has won three championship titles with the Boston Red Sox; Hal Gill, who played sixteen seasons in the NHL (17 years pro) and won a title championship; “Sundance”, singer/songwriter and winner of season 11 of the television music competition, The Voice; and Kelvin Davis, author/model/blogger who is the persona behind Notoriously Dapper, a blog that empowers men of all sizes to look their best. DXL Men’s Apparel delivers everything men need to XL in style. They are unrivaled in fit, and offer thousands of today’s current looks from over 100 top brands. From value-priced private labels to exclusive designers, DXL’s offering provides style options for all of life’s occasions. Customers can shop their easy-to-navigate website or one of over 200 stores across the country. The “Time to XL” campaign launched on November 7th via DXL’s digital channels. This was followed by national television and radio broadcasts on November 27th. Destination XL Group, Inc. is the largest retailer of big and tall apparel in sizes XL and up, with operations throughout the United States, and in London, England and Ontario, Canada. The DXL store in Ontario is operated by DXL Canada, Inc., a subsidiary of Destination XL Group, Inc. Other subsidiaries currently operate Casual Male XL retail and outlet stores, Rochester Clothing stores, DXL stores and e-commerce sites, including DestinationXL.com and mobile site m.DestinationXL.com in the U.S. and London, England. DestinationXL.com offers a multi-channel solution similar to the DXL store experience with the most extensive selection of online products available anywhere for the bigger guy. Destination XL Group, Inc. is headquartered in Canton, Massachusetts, and its common stock is listed on the NASDAQ Global Market under the symbol "DXLG." Sizes start at 38” waist and XL including tall sizes, plus shoe sizes 10-16, in widths to 4E.